MELCO N10/N100 System Software Ver.1.02 is released on 26th December, 2018. This update include Updated PC access to follow Windows 10 new version, improved USB-DAC Local Player, Increased Markerless DSD compatible DAC and improved Support function. MELCO N1 System Software Ver.3.90 is released on 20th December, 2018. This update include Updated PC access to follow Windows 10 new version, improved USB-DAC Local Player, Increased Markerless DSD compatible DAC and improved Support function. 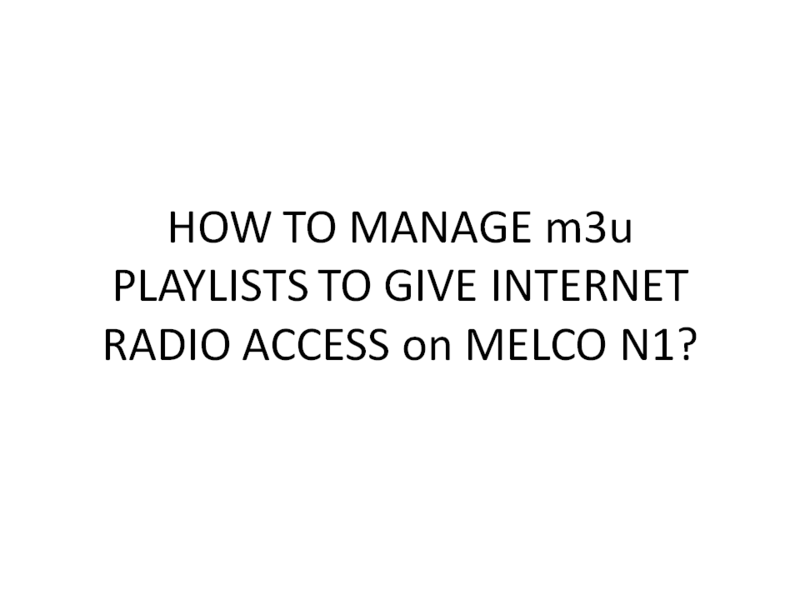 From V3.71 Melco N1 has the capability to manage m3u playlists when using the Local Player. In V3.80, m3u playlist name can be customized by users and N1 supports display the renamed playlist name on navigation tree. MELCO N1, N1/2 series firmware 3.80 was released on 17 May, 2018. Latest media server Twonky 8.5 is installed, newer than FW 3.73B.Updating the latest firmware via network, N1 should be connected to the Internet. To update the latest firmware, goes to  System Update >  Internet, then choose `OK`, N1 will restart. Wait until the home screen is displayed. Or updating from the USB device. See firmware Ver 3.80`s detail updates as follows. MinimServer has a great reputation as a high performance UPnP dedicated Music Server. It can be installed on a Melco N1 relatively easily. 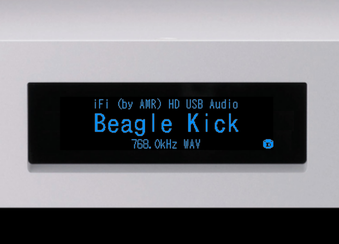 MELCO N1, N1/2 series beta firmware 3.73B was released on 11 Dec, 2017. This is a beta firmware only availible for USB update. This firmware is recommended for people who are quite familiar with "PC audio and network audio". For general MELCO users, please use our official firmware Ver. 3.72. Check new FW 3.73B updates as below. MELCO N1, N1/2 series firmware 3.72 was released on 27 Nov, 2017. Updating the latest firmware via network, N1 should be connected to the Internet. To update the latest firmware, goes to  System Update >  Internet, then choose `OK`, N1 will restart. Wait until the home screen is displayed. 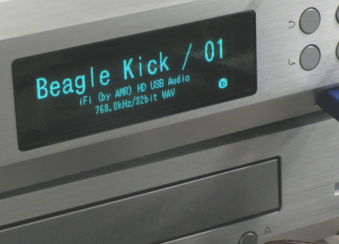 V3.71 FW paves the way for full Internet radio capability on Melco when using the USB-DAC Local Player. Full Internet Radio integration will follow in a future FW, but this blog shows how to manage m3u playlists to give Internet radio access. 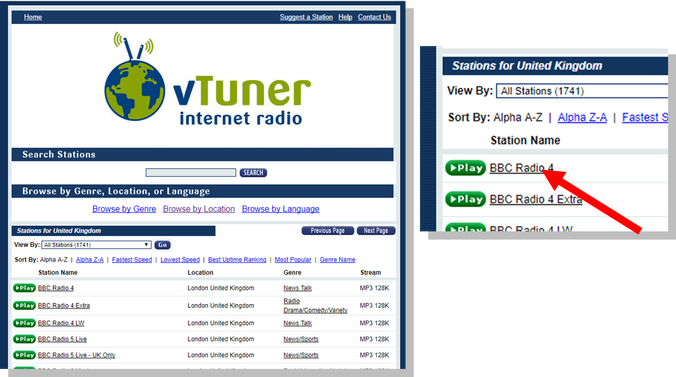 (Full integration will have an Internet Radio Portal to allow for searching for stations, and this will manage favourites as well as allowing for the possibility of the Internet radio location or URL changing). 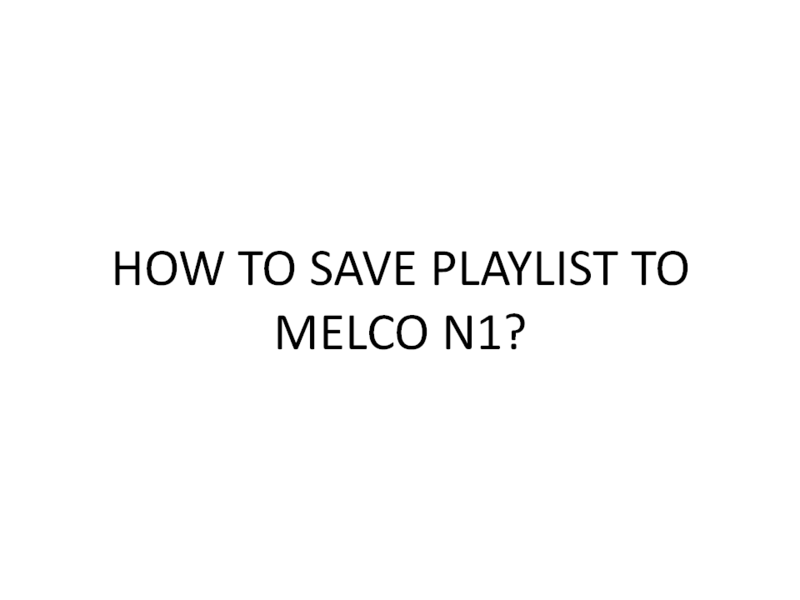 Melco has already made two huge improvements to Hi-Res Digital Music – sound quality is greatly improved through being able to totally avoid any IT devices or computers in the playback chain. Additionally we have made the whole experience so much easier with simple setup and convenient operation. However for serious listeners there remains one problem – metadata or tagging of the music files. 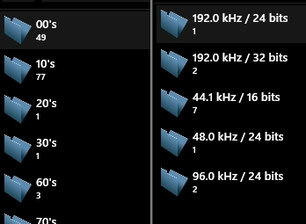 This can make browsing and managing music collections frustrating, especially for Classical music.